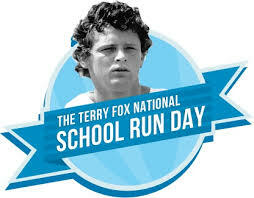 To date the Terry Fox Foundation worldwide has raised over $600 million for cancer research in Terry’s name through the annual Terry Fox Run, held across Canada and around the world. We at Random Island Academy would like to help contribute to this great cause. Walk will start at 9:00 and go to the Fire Hall and back. The walk is open to the public, if any family or community members would like to join us! Once again this year we will be doing a run as well. Grade 7-12 Students & Community Members Only! 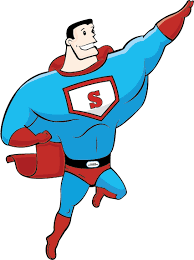 Come dressed as your favorite Superhero or in your Terry Fox T-shirt! We welcome any donations to the Terry Fox Foundation during our walk. We will have a donation drop box in the main lobby. Students can also pass their donations to their homeroom teachers! The Walk to Breakfast is taking place in coordination with the Terry Fox Walk. We will be cooking pancakes for all students & community members to have for their breakfast as they return back from the Terry Fox Walk. If you would like to volunteer to help with the cooking and serving of the pancakes, please contact Sandy. We welcome any donations to our Breakfast Program during this day. Non-perishable breakfast items such as jam, butter, juice, cheese whiz, etc, or monetary donations, are graciously accepted. All monetary and non-perishable food items will be matched by Kids Eat Smart Foundation. Please support the Random Island Academy Breakfast Program as it does benefit your child. A BBQ lunch will be provided FREE to students & community members during lunch by our Student Council. We will be serving hot dogs. Thank You in advance for your support to these great causes! It is very much appreciated by all! This entry was posted in Uncategorized on September 27, 2016 by riawebsite.